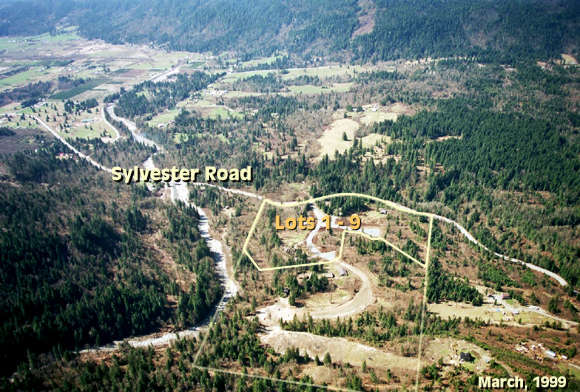 Located in the Hatzic Valley, just east of Mission - WAITING for your new home ... come by today for best selection ! Please click the Map below on the numbers. 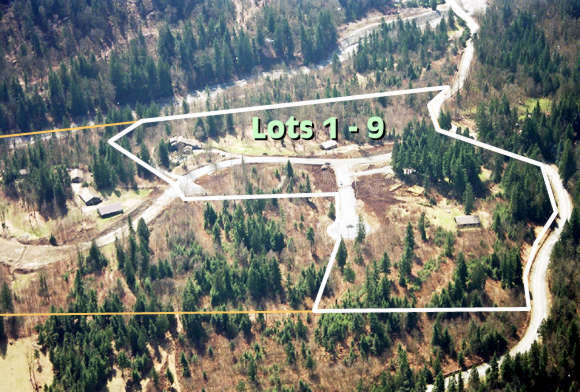 Photos 1 to 4 show the 2.5 acre lot subdivision. Photos 5 to 11 are general photos of Mission, British Columbia. All air photos were taken in March and April of 1999. Below are two closeup photos of the property. Quicktime Virtual Reality - 40 feet high in the subdivision. ** Requires Quicktime Plug-in. Click the logo above to get the software.